The Bieb's house is for sale ... not his pop star mansion, but the Canadian bungalow where he spent much of his childhood. 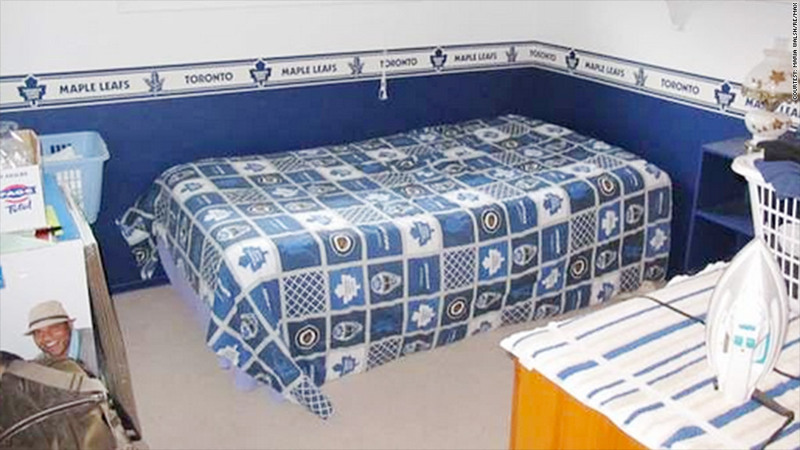 Justin Bieber's grandmother is selling the house with his bedroom preserved as he left it, complete with his Toronto Maple Leafs bedspread and wallpaper, according to Re/Max realtor Maria Walsh. "It's a typical grandma house, with a room that's for him," said Walsh. "He didn't live there full time. He stayed there. When they moved out, they didn't take their furniture with them. It's the same furniture as when Justin came there." She said his grandmother Diane Dale has put the three-bedroom, two-bath house on Willow St. in Stratford, Ontario on the market for 279,900 Canadian dollars, which is approximately $248,000 in U.S. currency. Walsh hosted an open house last weekend, where she asked visitors, "Are you here because it's the Bieber house or because you actually want to buy it? And some of them said, 'I didn't know it was the Bieber house.'" Justin Bieber's grandmother is selling her house, with the crooner's bedroom preserved as he left it. When asked if the famous crooner has made an offer, Walsh replied: "He's got bigger houses, bigger fish to fry. It's a blooming blizzard [here!] No wonder Justin is in California." Bieber, who has a net worth of $200 million and makes up to $80 million a year according to www.celebritynetworth.com, recently sold his California mansion to Khloe Kardashian.